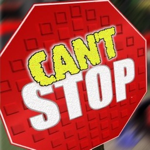 NonSmokerGirl is running another Can't Stop tournament, starting today and running for one week. This is her second Can't Stop tournament — the first one didn't work so well because she discovered several bugs in the game's payment system. So I've fixed all the bugs and let's cross our fingers and hope it works this time, ok? This is a pay-to-play tournament, so you pay money for each game, but if you win then you win the game pot. Like all Procyon games, the Local Champion scoreboard gives you points for each game you play. The better you play, the more points you score. At the end of the tournament, the top three players win prizes: $1000L for First Place, $750L for Second, and $500L for Third. Teleport now to North Norway Mall and start playing! Here's a new feature on the Procyon website for En Garde players. (I'll be adding a similar feature for the other games). First, go to the registered players section. 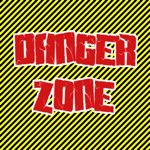 If you haven't registered your avatar with the web site, it's very easy. All you have to do is touch the registration board at Procyon Games and follow the link it gives you. Once you're registered, click on the En Garde link to see the games you've played recently. Below that list is a space where you can type in any avatar name. The field will auto-complete for you, so you can just type in part of the name and then select the full name from the list. Once you click go, it will show you your complete play history against that person. It calculates your overall win percentage, total score, and shows you every game you've ever played. So if you really want to know who is the better player, now you can look up the stats to prove it. 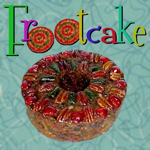 I've added Frootcake to the Registered Players section of the Procyon Games website. If you've registered your avatar (all you have to do is click the Registration Kiosk at the Procyon Games Workshop), then you can see all the Frootcake games you've played over the past two weeks.